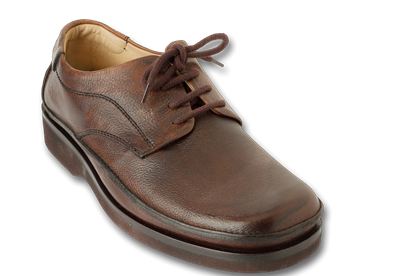 A real 1803 classic comfort shoe, sure to please, comfort and classic casual style. 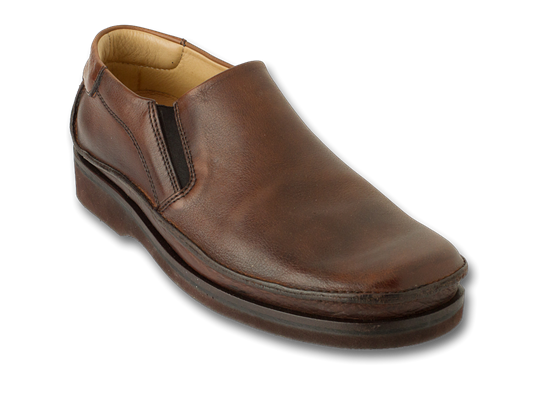 Slip on all leather shoes made for comfort. 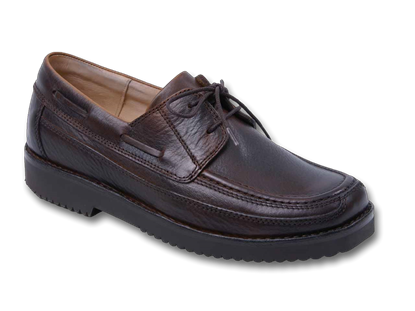 Soft leather upper with all leather lining. 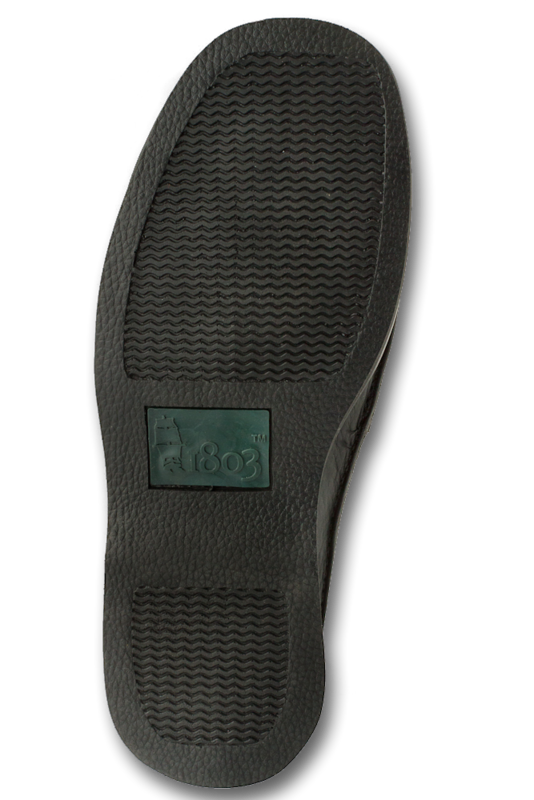 Extra set of cork insoles for adjustable comfort and perfect fit. I have only owned one pair of your shoes but that shoe has performed "beyond category". I am anxiously awaiting my new shoes but it is way beyond late. There is no way to track this shipment that I have figured out. Your links do not work. Please tell me where my shoes are. I should be wearing them. Love your shoes, beyond disapointed with your service. There is no easy way to talk to you. Please respond. The shoes arrived in a timely manner. I really enjoy these shoes because I walk a lot in my job. They are the most comfortable shoes I have worn. 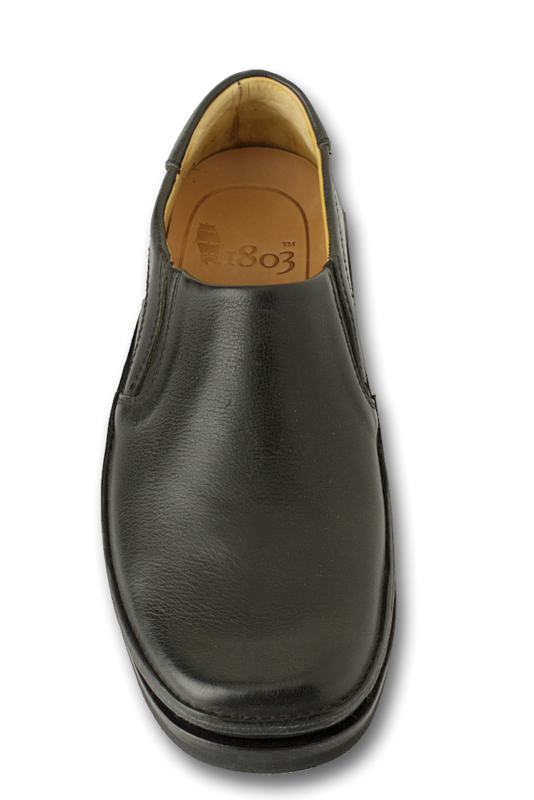 1803 shoes are stylish, durable, and comfortable. That's all you can ask. My husband wears a wide shoe and has such trouble finding shoes that fit him. I can never understand why there is such a limited selection....people with wide feet love shoes , too! This is his third pair of this style. I wish they came in a real brown ...what is classified as brown is really an oxblood color. 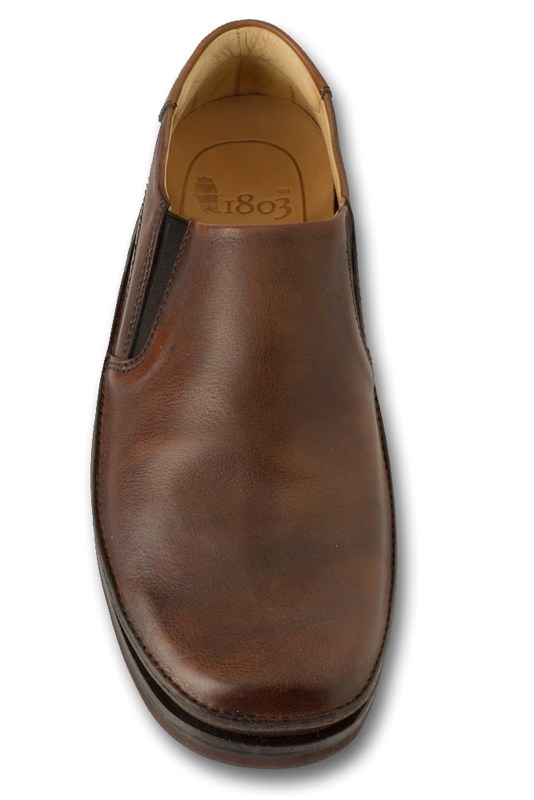 He would like to see more styles like this with the same type of sole. 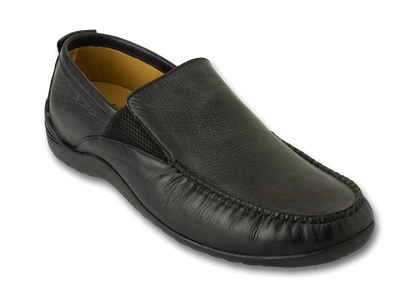 Dressy, very comfortable slip on. I have five pairs. I wear in rotation. 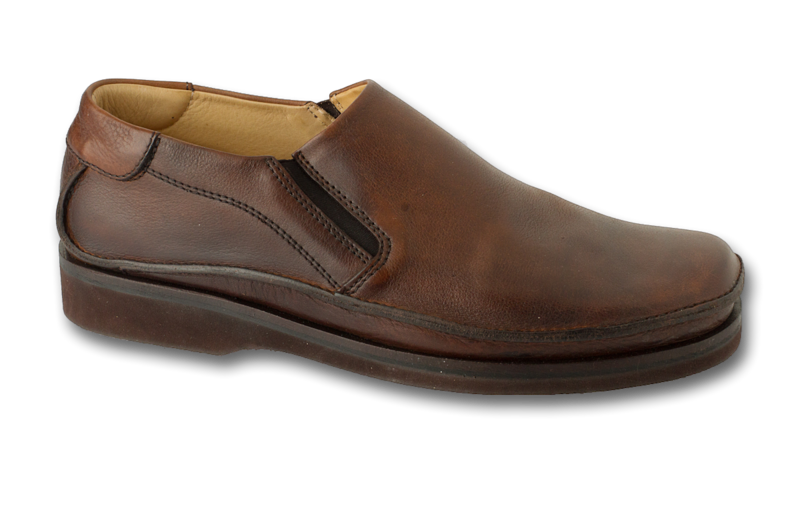 As comfortable as a Mephisto, but better leather. Oldest pair is seven years old, they are in great shape just need a re-sole. I cannot bare to throw a pair away. True to size. Shoe shine guy always complements me on quality of the Leather. They are priced very fairly, even against slave labor chinese junk. Perfect for travel and airports. Looks good in a suit or casual, can dress up or down. So glad I found website, I thought I would have to break in to last pair bought years ago, and had been saving. After receiving your e-mail that you had corrected the problem with the discount code, I tried again, and again, and again, but kept getting the message that this code could not be applied to my order. What's happening? Do I get the discount or not? It never used to be this difficult to order from you!!! Super well styled comfy shoe. It has a nice European appeal. 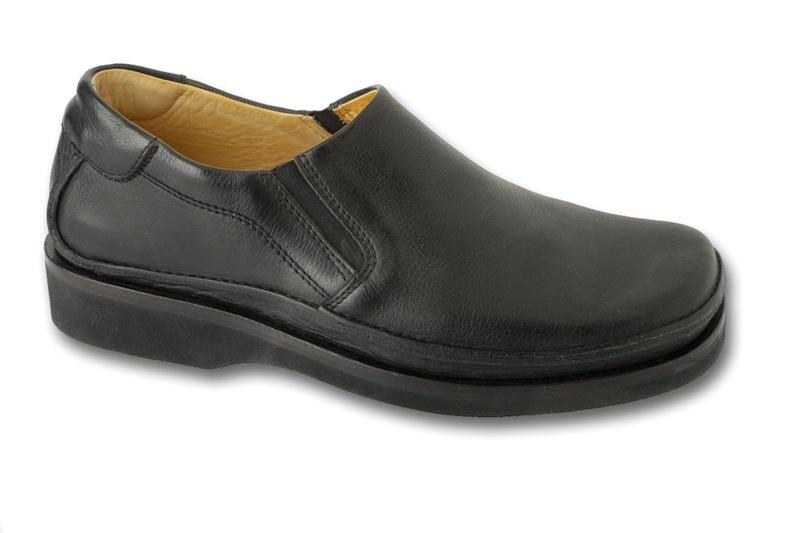 Soft leather uppers and comes with different insole foot bed options. I get lots of compliments on them too. I have a black pair now getting a brown pair. Note: Going through TSA it does set off the alarm so take them off even if you are TSA PreCehck.